George Orwell was scaringly right in many ways, but one of his most overlooked points is one of the most important. The language we use defines our reality and what problems we perceive, communicate, and solve. From theft of intellectual property to sharing culture and knowledge, it's a war of words. “1984” by George Orwell is a book that seems to increasingly define our society, mixed in with a dash of Aldous Huxley’s Brave New World. One central theme to 1984 is the concept of Newspeak – but the language Newspeak never takes center stage in the book, it is just pervasive throughout the storyline. The concept of Newspeak was simple. By taking away the expressions for free thinking and challenging authority from the language, the people in power would remove other people’s ability to conceptualize those thoughts, and thus ensure obedience. In one passage in the book, translators of Oldspeak into Newspeak say they have a trouble with translating the Declaration of Independence into Newspeak – there is simply no way to express what it says in Newspeak. Orwell comments on this in an appendix: as long as the language has words for rebellion, freedom of thought, and dissent, then society will eventually throw off any tyrant. This matters, because the words we use define the society we live in. That definition of society, in turn, decides what problems need to be solved and how. We are nerds and geeks; we tend to not bother with subtleties and nuances of communication, except to be technically precise in what we express. But all words have values to them. Some are negative, some are positive. Some have double meanings. Some evoke feelings of happiness, others of discomfort. Being aware of this as you discuss net liberty and culture today is paramount to the discussion – the side that wins the definitions, wins the long-term war. It is not a coincidence that the deceptive term “Intellectual Property” has been relentlessly used by the copyright industry. They are trying to get others to use it. They are trying to make it define the copyright monopoly; to make people think of their monopoly in terms of property. Property is a positive word, and it follow-up-defines any violation of those monopolies as stealing (as violation of property rights is stealing). Don’t ever fall for using this term. Not once, not ever. The way to spread your own framing of the world is not necessarily to correct others in their use of language – that would only seem rude. Rather, we use our own language consistently, persistently, and tenaciously. We use our language that defines the world of the net generation the way we see it, and in a way that doesn’t give influence to the copyright industry. Every time you repeat a term of the adversary’s worldview, you help them take away your rights. Every time you use one of the terms that define our worldview, you help the net generation retain their civil liberties. People will copy your terms subconsciously. Be happy when they do, but don’t point it out. Again, that would be rude. 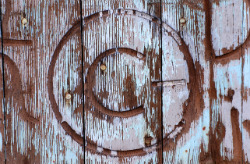 Copyright industry – use this consistently instead of record industry and/or film industry. It highlights how the middlemen incumbents are monopolistic parasites that aren’t necessary for the cultural ecosystem, having industrialized lobbying for their monopolies and cashing in on them, and the term sticks very well. Sharing knowledge and culture – use this instead of “file-sharing”. The “file-sharing” term tends to be too technical, and doesn’t appropriately convey the usefulness of the act. Also, “sharing knowledge and culture” is fundamentally positive to anybody who hears it – plus, it is technically correct. People who share knowledge and culture should never be punished, they should be rewarded. Copyright monopoly – don’t ever use “copyright” alone. When you do, you will reinforce that it is a right of some kind, like the right to freedom of speech. In reality, it is a monopoly. While a somewhat clumsy term, it is necessary at this stage to communicate that the copyright monopoly is just that, a monopoly. Use language to tie the concept together with its nature to people who haven’t seen it as such yet. Patent monopoly – Same thing there. Industrial Protectionism – don’t ever use the IP term that reads out as some kind of “property”. That’s self-defeating. If you cannot escape using the IP term (which you should, as it lumps completely unrelated laws together) then take care to read it out as “Industrial Protectionism”. It’s what it is, and the value of the word protectionism is sharply negative. Manufacturing copies – try avoiding “downloading” copies of something. That implies “taking”, and leads down the wrong line of thought. What people are doing are manufacturing copies using their own raw materials, and it highlights how the copyright monopoly is trying to restrain a legitimate activity. Say “when people are manufacturing their own copies of knowledge and culture”, if you can’t highlight the process of “sharing knowledge and culture”. There are many more examples, but these are a starter. Remember that the side that wins the language wins the definition, and take time to judge the subtleties of how language defines and shapes the problem we discuss.